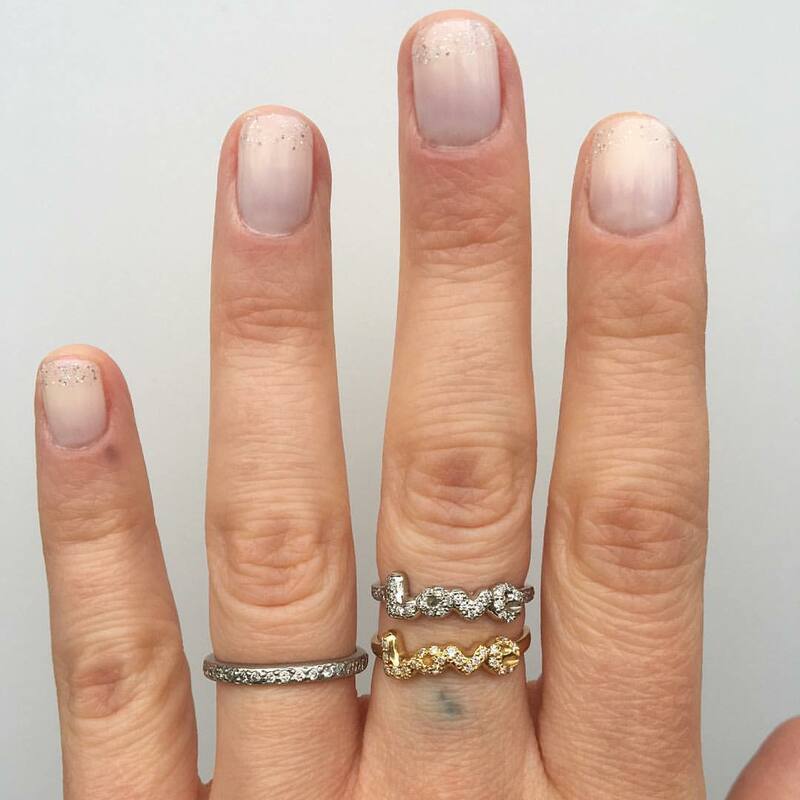 The platinum “Love” ring features a carved heart on the back of the band set with a white diamond. 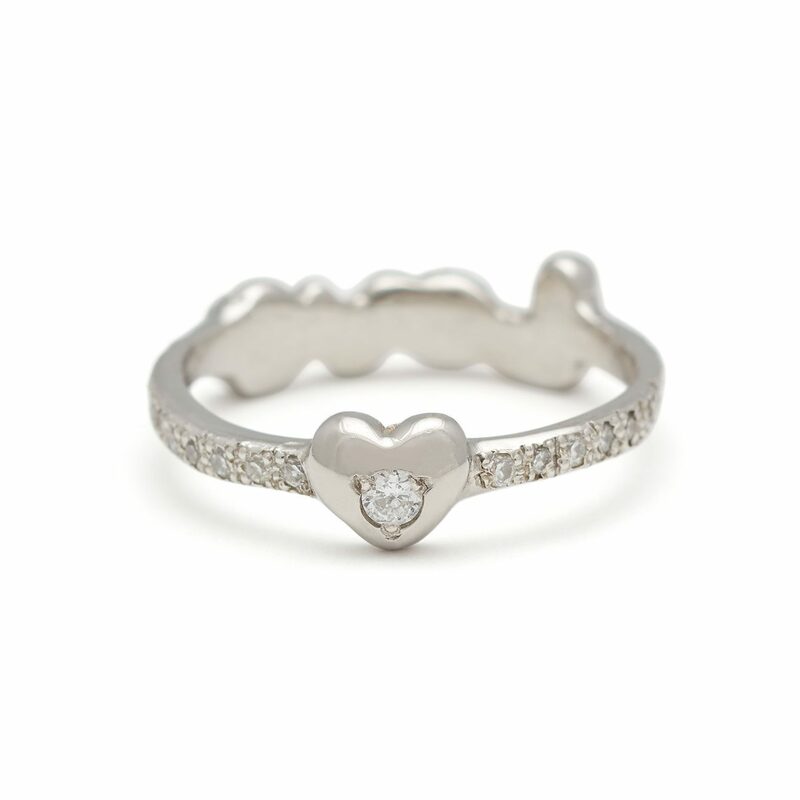 On the front, the word “Love” is encrusted with white diamonds. 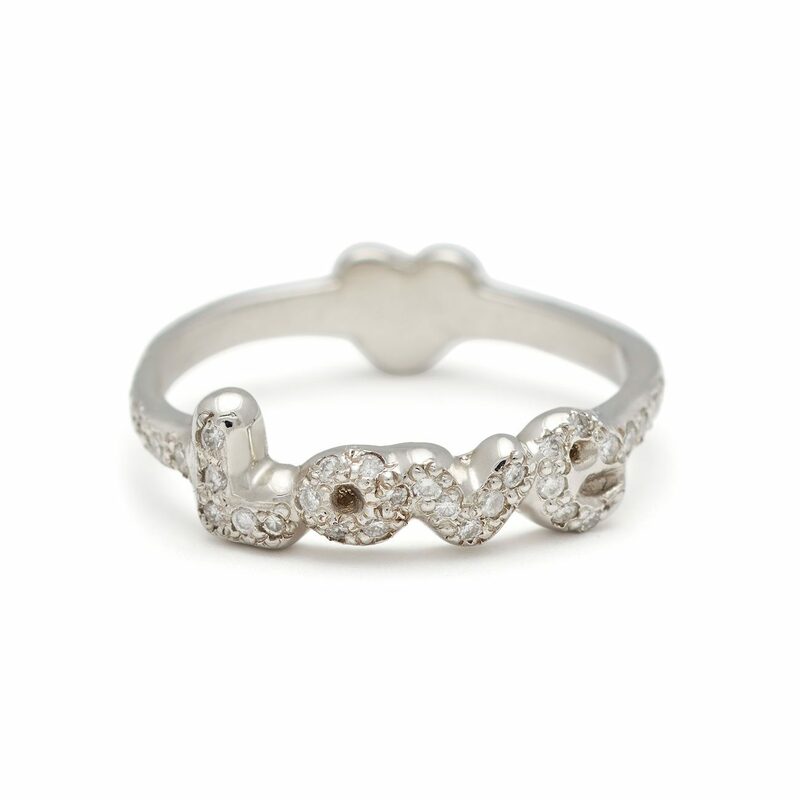 The shank is also set with white diamonds. Handcrafted by Elisa. Size 6.